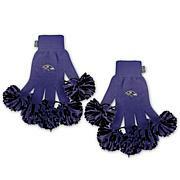 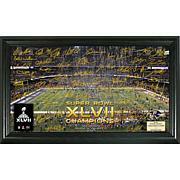 Celebrate your team's victories with this amazing keepsake. 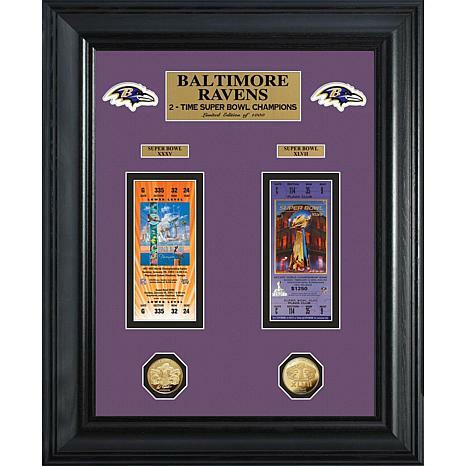 It features two-time Super Bowl Champions Baltimore Ravens Super Bowl replica tickets and commemorative goldtone coins, beautifully displayed in a black wood frame. 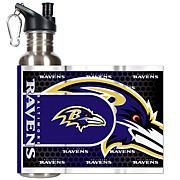 It makes an unforgettable gift for your favorite fan.